This article deals with the history of classical mechanics. The ancient Greek philosophers, Aristotle in particular, were among the first to propose that abstract principles govern nature. Aristotle argued, in On the Heavens, that terrestrial bodies rise or fall to their "natural place" and stated as a law the correct approximation that an object's speed of fall is proportional to its weight and inversely proportional to the density of the fluid it is falling through. Aristotle believed in logic and observation but it would be more than eighteen hundred years before Francis Bacon would first develop the scientific method of experimentation, which he called a vexation of nature. Aristotle saw a distinction between "natural motion" and "forced motion", and he believed that 'in a void' i.e.vacuum, a body at rest will remain at rest  and a body in motion will continue to have the same motion . In this way, Aristotle was the first to approach something similar to the law of inertia. However, he believed a vacuum would be impossible because the surrounding air would rush in to fill it immediately. He also believed that an object would stop moving in an unnatural direction once the applied forces were removed. Later Aristotelians developed an elaborate explanation for why an arrow continues to fly through the air after it has left the bow, proposing that an arrow creates a vacuum in its wake, into which air rushes, pushing it from behind. Aristotle's beliefs were influenced by Plato's teachings on the perfection of the circular uniform motions of the heavens. As a result, he conceived of a natural order in which the motions of the heavens were necessarily perfect, in contrast to the terrestrial world of changing elements, where individuals come to be and pass away. Galileo would later observe "the resistance of the air exhibits itself in two ways: first by offering greater impedance to less dense than to very dense bodies, and secondly by offering greater resistance to a body in rapid motion than to the same body in slow motion". In the 12th century, Hibat Allah Abu'l-Barakat al-Baghdaadi adopted and modified Avicenna's theory on projectile motion. In his Kitab al-Mu'tabar, Abu'l-Barakat stated that the mover imparts a violent inclination (mayl qasri) on the moved and that this diminishes as the moving object distances itself from the mover. According to Shlomo Pines, al-Baghdaadi's theory of motion was "the oldest negation of Aristotle's fundamental dynamic law [namely, that a constant force produces a uniform motion], [and is thus an] anticipation in a vague fashion of the fundamental law of classical mechanics [namely, that a force applied continuously produces acceleration]." The same century, Ibn Bajjah proposed that for every force there is always a reaction force. While he did not specify that these forces be equal, it is still an early version of the third law of motion which states that for every action there is an equal and opposite reaction. In the 14th century, French priest Jean Buridan developed the theory of impetus, influenced by Ibn Sina and al-Baghdaadhi. Albert, Bishop of Halberstadt, developed the theory further. It wasn't until Galileo Galilei's development of the telescope and his observations that it became clear that the heavens were not made from a perfect, unchanging substance. Adopting Copernicus's heliocentric hypothesis, Galileo believed the Earth was the same as other planets. Galileo may have performed the famous experiment of dropping two cannonballs from the tower of Pisa. (The theory and the practice showed that they both hit the ground at the same time.) Though the reality of this experiment is disputed, he did carry out quantitative experiments by rolling balls on an inclined plane; his correct theory of accelerated motion was apparently derived from the results of the experiments. Galileo also found that a body dropped vertically hits the ground at the same time as a body projected horizontally, so an Earth rotating uniformly will still have objects falling to the ground under gravity. More significantly, it asserted that uniform motion is indistinguishable from rest, and so forms the basis of the theory of relativity. Sir Isaac Newton was the first to unify the three laws of motion (the law of inertia, his second law mentioned above, and the law of action and reaction), and to prove that these laws govern both earthly and celestial objects. Newton and most of his contemporaries, with the notable exception of Christiaan Huygens, hoped that classical mechanics would be able to explain all entities, including (in the form of geometric optics) light. Newton's own explanation of Newton's rings avoided wave principles and supposed that the light particles were altered or excited by the glass and resonated. Newton also developed the calculus which is necessary to perform the mathematical calculations involved in classical mechanics. However it was Gottfried Leibniz who, independently of Newton, developed a calculus with the notation of the derivative and integral which are used to this day. 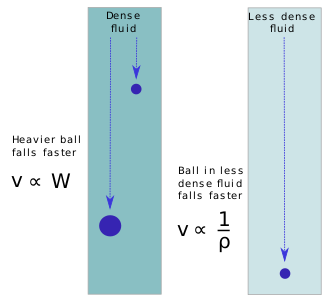 Classical mechanics retains Newton's dot notation for time derivatives. Leonhard Euler extended Newton's laws of motion from particles to rigid bodies with two additional laws. Working with solid materials under forces leads to deformations that can be quantified. The idea was articulated by Euler (1727), and in 1782 Giordano Riccati began to determine elasticity of some materials, followed by Thomas Young. Simeon Poisson expanded study to the third dimension with the Poisson ratio. Gabriel Lamé drew on the study for assuring stability of structures and introduced the Lamé parameters. These coefficients established linear elasticity theory and started the field of continuum mechanics. After Newton, re-formulations progressively allowed solutions to a far greater number of problems. The first was constructed in 1788 by Joseph Louis Lagrange, an Italian-French mathematician. In Lagrangian mechanics the solution uses the path of least action and follows the calculus of variations. William Rowan Hamilton re-formulated Lagrangian mechanics in 1833. The advantage of Hamiltonian mechanics was that its framework allowed a more in-depth look at the underlying principles. Most of the framework of Hamiltonian mechanics can be seen in quantum mechanics however the exact meanings of the terms differ due to quantum effects. Although classical mechanics is largely compatible with other "classical physics" theories such as classical electrodynamics and thermodynamics, some difficulties were discovered in the late 19th century that could only be resolved by more modern physics. When combined with classical thermodynamics, classical mechanics leads to the Gibbs paradox in which entropy is not a well-defined quantity. As experiments reached the atomic level, classical mechanics failed to explain, even approximately, such basic things as the energy levels and sizes of atoms. The effort at resolving these problems led to the development of quantum mechanics. Similarly, the different behaviour of classical electromagnetism and classical mechanics under velocity transformations led to the theory of relativity. By the end of the 20th century, classical mechanics in physics was no longer an independent theory. Along with classical electromagnetism, it has become imbedded in relativistic quantum mechanics or quantum field theory. It defines the non-relativistic, non-quantum mechanical limit for massive particles. Classical mechanics has also been a source of inspiration for mathematicians. The realization that the phase space in classical mechanics admits a natural description as a symplectic manifold (indeed a cotangent bundle in most cases of physical interest), and symplectic topology, which can be thought of as the study of global issues of Hamiltonian mechanics, has been a fertile area of mathematics research since the 1980s. ^ a b Rovelli, Carlo (2015). "Aristotle's Physics: A Physicist's Look". Journal of the American Philosophical Association. 1 (1): 23–40. arXiv:1312.4057. doi:10.1017/apa.2014.11. ^ Peter Pesic (March 1999). "Wrestling with Proteus: Francis Bacon and the "Torture" of Nature". Isis. The University of Chicago Press on behalf of The History of Science Society. 90 (1): 81–94. doi:10.1086/384242. JSTOR 237475. ^ a b Gutman, Oliver (2003). Pseudo-Avicenna, Liber Celi Et Mundi: A Critical Edition. Brill Publishers. p. 193. ISBN 90-04-13228-7. Truesdell, C. (1968). Essays in the History of Mechanics. Berlin, Heidelberg: Springer Berlin Heidelberg. ISBN 9783642866470. Maddox, René Dugas ; foreword by Louis de Broglie ; translated into English by J.R. (1988). A history of mechanics (Dover ed.). New York: Dover Publications. ISBN 0-486-65632-2. Buchwald, Jed Z.; Fox, Robert, eds. (2013). The Oxford handbook of the history of physics (First ed.). Oxford: Oxford University Press. pp. 358–405. ISBN 9780199696253.